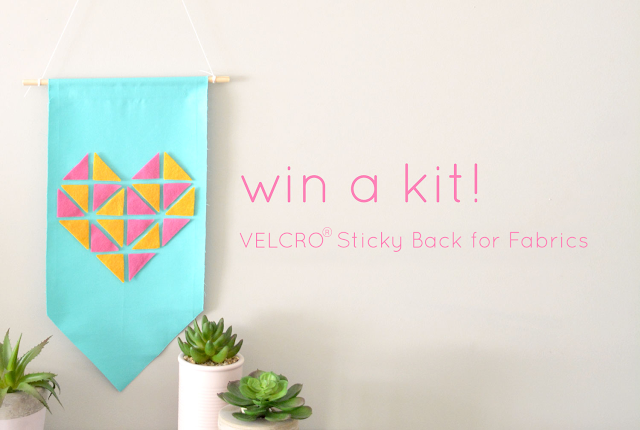 Recently VELCRO® sent us a no-sew banner kit to try out their new VELCRO® Sticky Back for Fabrics - too cute! Plus, they included 3 more kits to giveaway to our lovely readers! 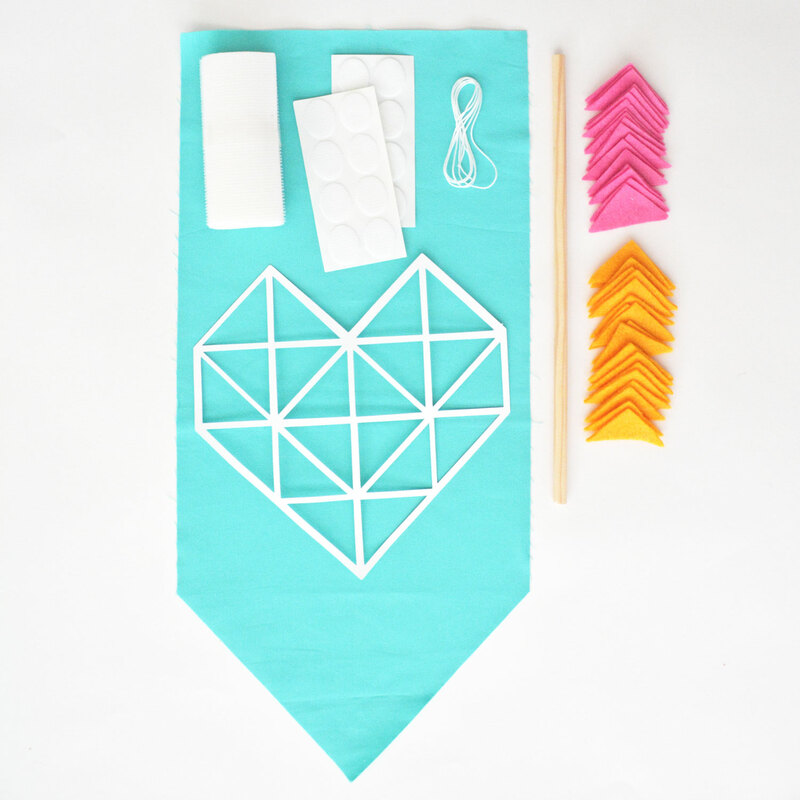 Each kit includes all the goodies shown above along with step by step instructions to create a fun no-sew banner (designed by our friend Sam of Dunne with Style). As you know, I love crafting! There's nothing quite like the feeling you get when you've completed a project. And if there's something that helps create things a little quicker, you can count me in! This fab product takes the VELCRO® we know and love and adds super stickiness - you simply peel and stick for a permanent bond to fabric that's also washable! It's available in ovals, tape and rectangles in both black and white - and you'll find it in Bunnings and Spotlight nationally. As promised, it stuck really well to both fabrics, I was particularly impressed with how it bonded to the felt - we all know how hard getting anything to stick to felt is! 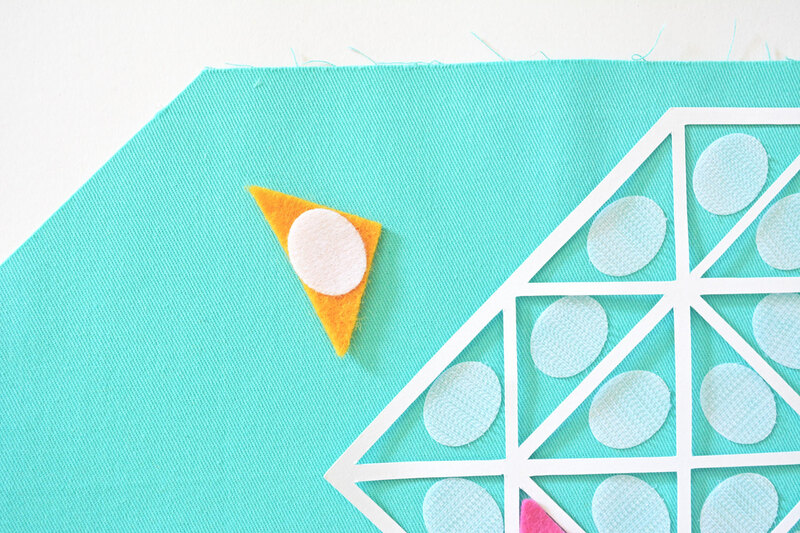 There are leftovers from the kit and my brain is buzzing with ideas for things to create! But, we want to hear your ideas! Simply tell us, in the comments below or via email, your most creative idea for using VELCRO® Sticky Back for Fabrics! Our 3 favourite answers will each win a kit!